As a homeowner, you probably think of your home as unique. At Logan A/C and Heat Services, we know that every property is a little different, as is its heating system. That is why we have made a long-term commitment to our Ohio customers. We believe everyone deserves to feel comfort in cool weather — from the time the first leaf falls until the flowers bloom in spring. With our heating services, count on us to help you stay warm and save money while you do it. Since 1969, Ohio residents have called on Logan A/C and Heat Services to keep their heating systems in great shape. Whether you want to schedule annual maintenance or you are thinking about replacing your current equipment, we can simplify the process and eliminate the hassle. Furnace Repair: We inspect your furnace, find the problem, devise a solution and put it into action. Furnace Installation: When you are ready to upgrade, we will identify the right system for your home and install it correctly. 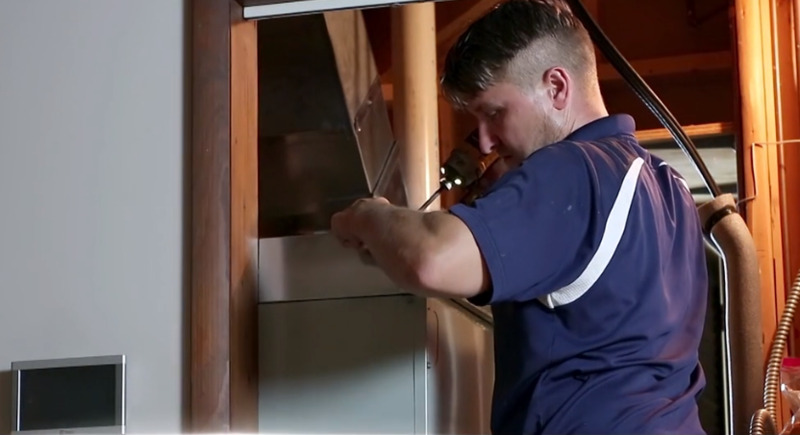 Furnace Maintenance: Our team makes a yearly call to test your furnace function and make sure it is ready for winter. Furnace Replacement: One of our service technicians can help you determine if you need to replace your old furnace, and we are happy to discuss financing options. Heat Pump Installation: Getting a good installation for your heat pump is paramount for its performance, and our team knows how to do it properly. Heat Pump Maintenance: We will provide professional upkeep for your heat pump, to identify any concerns and increase your energy efficiency. Heat Pump Replacement: Replacing your heat pump is a big investment, and our team will help you get the most out of your money. Heat Pump Repair: If you have a problem, call us anytime to figure out what the issue is and the best way to solve it. Locating a home heating service in your area that you can rely on takes trust. At Logan A/C and Heat Services, we know that you have come to the right place. We keep facilities in three metropolitan areas in Ohio, which allows us to serve many of the surrounding communities. Although you can call our emergency hotline 24/7, we also offer a prompt response to emails at info@logan-inc.com. There is no need to fret over the freezing wind when you work with Logan A/C and Heat Services. We offer a variety of financing options for installation or replacement. Talk to one of our Comfort Consultants for more information by requesting an estimate today.